American English series in the world! 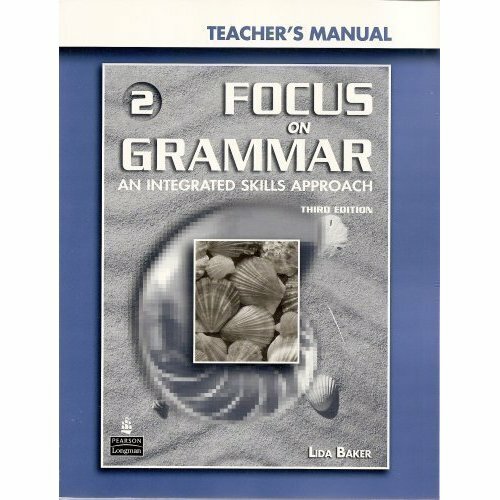 Focus on Grammar (3rd Edition) is a new and improved version of this dynamic, all-skills program that integrates conversation practice, reading, writing and listening - all in a light-hearted, fun, and easy-to-use format that has been embraced by students and teachers worldwide. Outstanding New Features in the 3rd Edition! How to Say It! lessons highlight communication strategies such as complimenting, hesitating, and apologizing. Journal writing activities invite students to relate lesson themes to their own lives and experiences. Focus on Grammar Gazette "magazine-style" pages offer feature articles, fact files, vocabulary expansion, cross-cultural topics through photos, authentic listening activities, e-mail exchanges, and humorous cartoons for role playing. All-new illustrations are lively, light-hearted, and richly detailed to offer students language practice that is contextualized and fun. Offer all-skills language practice in listening, speaking, reading, writing, and pronunciation. Provide all-skills activities, GrammarRaps for practice with rhythm, stress, and intonation, and GrammarSongs from the Focus on Grammar TV videos. Include all the Activity Workbook lessons plus lifeskills content and test-taking practice. Ideal for programs that need to prepare adult education students for standardized testing. Step-by-step teaching suggestions, language and culture notes, and new grammar descriptions for teacher reference. Extensive new expansion activities for dynamic classroom practice that goes beyond the text. For the Student Books: designed to serve as the student’s speaking partner, audios include all conversations, readings, and listening exercises. For the Activity Workbooks: audios include listening exercises, GrammarRaps, and GrammarSongs. Includes a Placement Test, Chapter Tests, and Mid-Book and Final Tests for each level of the program. Fully coordinated with Levels 1 and 2 of the program. Offer entertaining language learning through comedy sketches, interviews, rap numbers, and music videos. ESL.net has the lowest possible price on its textbooks and workbooks. We accept Purchase Orders only from schools and universities inside the United States. All others must prepay. Contact us with any questions.